Join me in raising funds and awareness for United Hatzalah of Israel. I am doing this In Celebration Of My Bar Mitzvah! . Please join me in raising funds for a piece of lifesaving medical equipment in celebration of my Bar Mitzvah! Any amount you give brings us closer to our goal and will help save more lives in Israel. United Hatzalah of Israel has always been important to our family and has done life-changing work in Israel. United Hatzalah of Israel is a fully volunteer Emergency Medical Services organization that provides the fastest and free emergency medical first response throughout Israel. United Hatzalah's service is available to all people regardless of race, religion or national origin. More than 3,000 volunteers throughout Israel are available around the clock 24 hours a day, 7 days a week, 365 days a year. To see my testimonial and to make a contribution, please click on the video link. Jake, Thank you for suggesting such a worthy cause for donation. Congratulations on becoming a Bar Mitzvah. The Breindel Family. Congratulations Jake on becoming a Bar Mitzvah! Wishing you and your family the best on this amazing milestone! You should be very proud of this accomplishment and for raising awareness of this amazing organization with your mitzvah project. Great video! Dear Jake, Mazel Tov on becoming a Bar Mitzvah!!! We are beyond thrilled for you and your family! It's been an honor watching you grow up to become the mench you are today.... right before our eyes!!! Sending lots of blessings and love out to you and your entire family! xoxo Tammy & Craig and the entire Brill Bunch!! Mazel Tov Jake! Wishing you and your awesome family a wonderful weekend! Lots of love, Emily, Elan, Gabi, Zoe & Asher! Mazel Tov on becoming a Bar Mitzvah. I am pleased to make a donation to United Hatzalah of Israel in honor of your special day. You make us all proud! Mazel Tov, Jake! We know you will be great on Saturday! 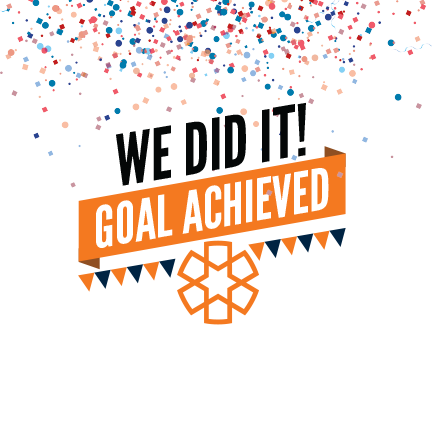 We are happy to be able to support you in reaching your goal. Congratulations on this wonderful day ! Mazel Tov, Jake. You make us all proud! What a wonderful way to celebrate your Bar Mitzvah. I know your family is so proud of you. I have watched you grow from a sweet little 2 yr. old to such a wonderful young man. I love the video and I love you Jake!! Mazel Tov Jake! This is a wonderful cause. We wish you a hearty Mazel Tov and can't wait to celebrate with you and your family. Love, Pamela and George Bloom. I am delighted to contribute to your worth mitzvah project. Mazel tov to you and your family. Mazal Tov! Sending you lots of love and best wishes for a successful future! Congratulations Jake. We all are so proud of you. 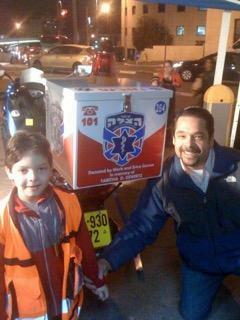 Choosing to support United Hatzalah is commendable. It is such a worthy cause. Way to go Jake! We loved learning about this is Israel. Congratulations to you and your family on this auspicious occasion. Helping others at this time in your life will certainly become a defining trait. United Hatzalah is an organization I have admired for a long time. I hope you have a wonderful October 14th! Dear Jake, It is my honor to support this special cause of yours. I have known and loved your parents for well over 16 years. Mazel Tov on your Bar Mitzvah. Ruth H.
your support of this agency is admirable. well done!! its a pleasure to support it in your honor. mazal tov on your bar mitzvah.